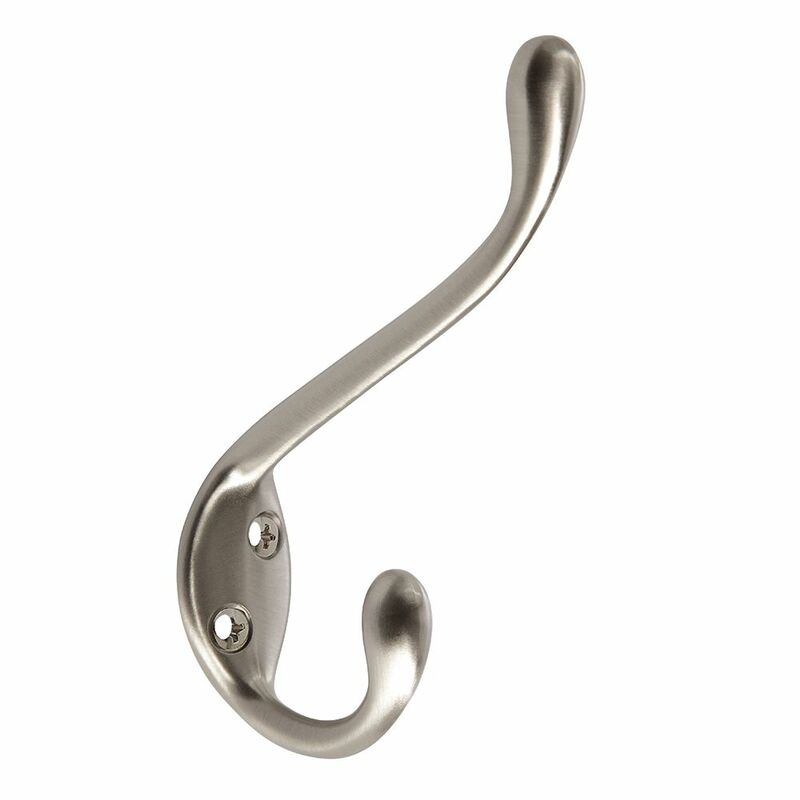 The Amerock H55451G10 Large Coat and Hat Hook is finished in Satin Nickel. Single hooks are most versatile and can be mounted into wood surfaces and drywall. The classic Satin Nickel finish provides a sleek, lightly brushed, warm grey metallic look. Large Coat and Hat Hook - Satin Nickel The Amerock H55451G10 Large Coat and Hat Hook is finished in Satin Nickel. Single hooks are most versatile and can be mounted into wood surfaces and drywall. The classic Satin Nickel finish provides a sleek, lightly brushed, warm grey metallic look.